As part of its continued efforts to increase our city and region’s socioeconomic mobility through workforce-ready education and strategic partnerships, Peirce College recently joined forces with the Urban League of Philadelphia to host its Urban Tech Jobs Program. 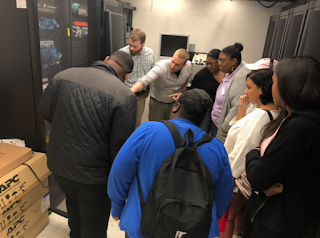 This free program, with the goal of bridging education and workforce development, offered fourteen students the opportunity to participate in classroom learning and job readiness and resiliency workshops – all in preparation for the CompTIA A+ Certification exam and stepping stone into the tech space. By completing the certification exam, students became well equipped to compete for living-wage jobs in a booming industry. 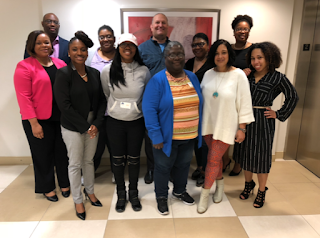 The Urban League covered the cost of the certification exam and Peirce College provided both instruction and a pathway to earning their associate’s degree. The partnership with the Urban League is just one example of the connections Peirce College has built throughout the Philadelphia region to help in its efforts to improve the lives of working adults and their families through targeted educational and workforce programs. Peirce College looks forward to working with the Urban League on future cohorts.